Delta acknowledged a glitch caused steeply-discounted tickets to be offered online Thursday -- some for as low as $27, according to customers. Some Delta customers scored a late Christmas present on Thursday. Delta (DAL) acknowledged that a glitch caused steeply-discounted tickets to be offered online Thursday -- some for as low as $12.83, according to customers. They celebrated their finds on social media, including cross-country flights for $40 and Boston to Honolulu lifts for $68. Cory Watkins, a travel agent in Oklahoma, snagged some of the best bargains he's ever seen -- round-trip, first class from Oklahoma City to St. Louis for $12.83, fares to Anchorage for $87.53, and more. In just under an hour, Watkins spent $1,387.38 for twelve flights for himself and clients for first class trips all over the U.S.
One customer said she bought tickets between Tallahassee and Los Angeles for $27 each way. Those routes normally cost between several hundred and several thousand dollars. 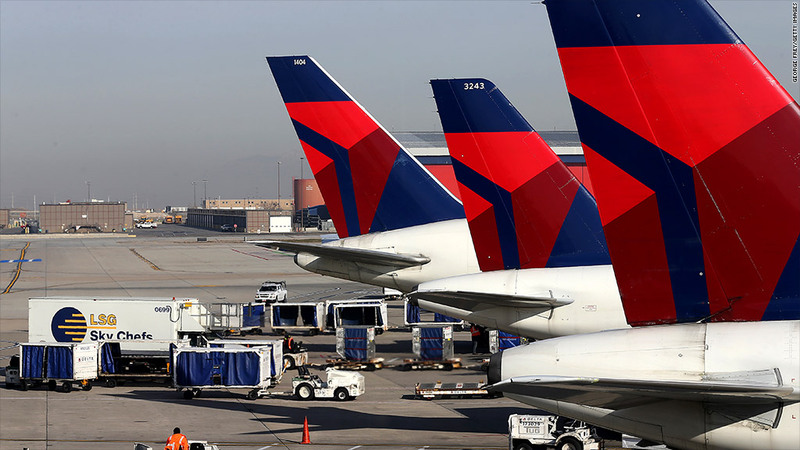 Delta spokesman Trebor Banstetter said the airline would honor the incorrectly priced fares, which were offered on the airline's website and other travel sites where it lists tickets. "For a portion of the morning today, some prices on delta.com and other booking channels were incorrectly displayed, resulting in lower than usual fares for customers," Banstetter said in a statement. He said the "situation has been resolved and the correct prices are being displayed," but early Thursday afternoon, some ticket searches on Delta's site would not load and produced an error. The airline did not have an estimate for how many tickets were sold at incorrect prices, Banstetter said. --CNN's Chuck Johnston contributed reporting.